A very quiet Sunday. My neck was still hurting when I woke up but it may be getting a little better. Still can’t swim. I got up about 8 AM and watched a recording of the Wales v Australia Rugby test at Twickenham which I’d taped overnight. Amazing display of heroism by the Australians who were down to 13 men at one stage. They also popped the Welsh scrum a few times. Very rare to see an Australian rugby scrum being used as an offensive weapon. Hard to believe that I played a game at Twickenham in the late 1970s when London New Zealand got to the finals of the Middlesex 7s . Long time ago. I was going to the gym but as I packed my bag, noticed that my hamstrings were really tight after yesterday’s session so went for a walk down to Manly instead. Shoulder hurt a bit but it was bearable. Listened to Alison Krauss singing There is a Reason on the way out to Fairy Bower. God it’s a beautiful song. It’s from the So Long So Wrong album which is one of the first of hers that I bought back in 1997. I never tire of listening to it. The harmonies send shivers down my spine. Didn’t want to go back and sit in my apartment on my own so I called in to Manly Wine bar, got myself a seat at the window and had a cup of coffee. Read the Sunday papers and watched the world go by outside. I love being perched up there, looking at the ocean and seeing everyone going about a peaceful Sunday. Australia is an amazing place. You know that no one will ever let a bomb off and blow you out into the street in a crowded place like that. At least you hope not. Walked back and spent most of the afternoon reading. On Friday I finished an Australian book called Chasing the ACE by Nicholas J Johnson. It’s about two conmen in Melbourne. It’s fiction but he obviously knows a lot about the trade and it was quite amusing if only light. Hemingway and John Steinbeck would have had a field day with characters and subject matter like that. 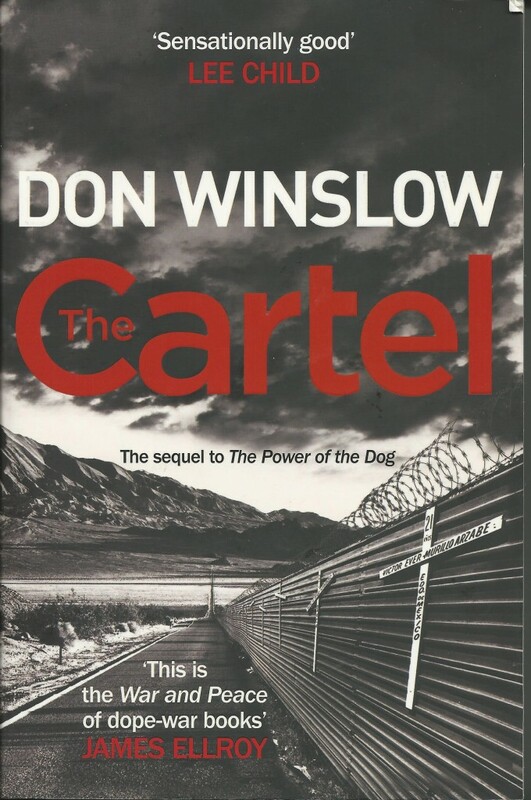 Friday night I started another book called The Cartel by Don Winslow. I’d only decided to read it after seeing a review in the Sydney Morning Herald which praised it highly. It was also mentioned in a review of a recently released film called Sicario. 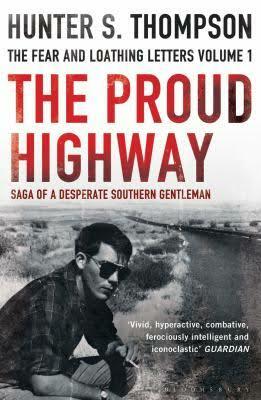 A quote, on the cover, from James Ellroy, one of my favourite authors, caught my eye. Only James Ellroy could say that. However, he’s pretty right. It’s a book about the drug wars in Mexico and I can’t put it down, although I’m not normally interested in this subject matter. Narco books about drugs, drug dealers or drug users just leave me a bit cold. Nevertheless, he’s a good writer who knows how to write with a broad sweep in the plot. I wish I could write fiction like this. I even took it to dinner tonight to read in the restaurant – Manly Fish cafe. I’ve become the weird, lonely old guy that sits in the corner, by himself, reading a book at dinner. I reckon it doesn’t matter if you have a good book to read. It has a great line, Every man needs a fallen women in his life to rescue. Wish I’d written that. Books and music as rehabilitation therapy for a broken leg – cheaper than booze, not as nasty and habit-forming as drugs and hey, they don’t make you fat!. After missing most of last week from swim training and all of the weekend, I decided to man up and join the BBC group for a swim this morning. I was flat on my back most of the weekend and there’s only so much of that you can do.The sharp pain in my shoulder blades and neck had subsided to a dull ache in my neck. It was Monday morning, the start of the working week and such a beautiful day I couldn’t resist. The sun was well up as I walked to Manly. We are in that beautiful period before daylight saving starts and I am not getting up in the dark. The ocean was as flat as flat could be, in the southern corner although the surf was up at Queenscliff. Only a small group of us headed to Shelly – Bob Johnson, Denise Elder, Marg Carney and myself. I was very ginger and I couldn’t swim very quickly as I couldn’t turn my head far and couldn’t breathe properly. Consequently I ended up swallowing a lot of water as usual. This process of managing pain seems to be an inevitable part of being a human being, especially if you are a reasonably active one. I suspect that everybody, as they get older, has to work out how they are going to cope with pain. Luckily all of my pain seems to come and go and it doesn’t hang around too long. It must be very difficult for people who suffer ongoing chronic pain. In total this exercise routine took me about an hour. I wasn’t that fatigued at the end of it and could have done more. I also wasn’t in any pain. This is a good thing and it’s also in some respects a bad thing as a little bit of pain is probably inevitable in the process of rehabilitation from tibial plateau fracture and surgery. I did this exercise routine on a rotational basis, not using too much weight and while I increased the repetitions in some instances and increased the weight on the leg press, I never increased the repetitions and the weight at the same time. I think this is the key to not injuring yourself in post-surgical recovery. In the press today it was announced that the National Rugby League will not be sanctioning Aaron Woods and Dylan Walker as the prescription drugs they took were not performance enhancing drugs nor were they prescribed substances. What is going on with the Rugby League can somebody please tell me? It’s okay apparently, if you are a fit young man with no pain issues to take synthetic morphine as it is not performance enhancing! I just can’t believe how stupid these people really are and how narrowly they see the public interest in relation to high-profile sportsmen. God help us. Finished watching The Wire tonight. That is the third time I’ve watched the whole five seasons. I still think it’s the best series that’s ever been on TV, almost Shakespearean. To work as a writer on a program like that must be amazing. I don’t know what I’m going to do now. It left me feeling a bit confused about how morally ambiguous the show is with Marlo Stansfield at the end wandering around in a suit and Proposition Joe and Omar in the ground. At least Bunk and Bubbles came out on top so there must be a God. Only got a couple of hours sleep. Could hardly get out of bed this morning my neck was so sore. I had agreed to meet a group at the BBC in Mosman at 630 for an early swim down to the baths. I just couldn’t do it. As I was hosting the end-of-winter Fortitude Plate breakfast, and the New Zealand consul general Ms Billie Moore, was guest of honour, I had to show up. It it nearly killed me. Came to work as I had a luncheon appointment but feeling very sick and sorry for myself came home in the middle of the afternoon. My neck is as sore as it has been in years. Disgraceful role models. Footballers Aaron Gray and Dylan Walker overdosed on a dangerous cocktail of the same opiate based drugs that helped me get through the first week of post surgical pain. Today’s papers are full of the news that two young South Sydney, Rugby League footballers, Dylan Walker and Aaron Gray, have been taken to hospital after overdosing on Oxycodone which is a prescription painkilling drug. Once this would have been of only passing interest to me. 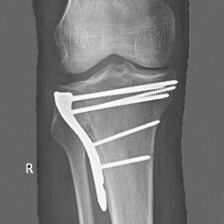 However, broken tibial plateau’s and surgery with the attendant pain, inevitably bring a patient into contact with powerful opiate-based drugs such as Oxycodone. Why is this significant? Oxycodone, and its brothers OxyContin and Endone, are drugs synthesized from thebaine an alkaloid found in the opium poppy. It is an analagesic (pain relieving) drug administered for severe pain (cancer, broken bones etc). Unfortunately, morphine and heroin come from the same source. And therein lies the problem. If you take these drugs for too long you can become addicted and many people have recovered from surgery only to find they have a more enduring problem. If you take too big a dosage they can kill you. How do I know this? From virtually the moment I woke up following surgery I was taking two Endone tablets every four hours, usually accompanied by one Panadol. Mixed in there also was Oxycodone, although I didn’t take it for long. I found that, despite the strength of the Endone, it was not sufficient to kill the pain completely on about the second and third day of recovery. I have a fairly high tolerance to pain but even so, I needed these extremely strong drugs just to cope. I often woke during the night in indescribable agony. The drugs were given under very close supervision always with two nurses present and always they stayed with me to make sure I swallowed the medications. They left me in no doubt at the Mater Hospital about how dangerous these drugs were. I was given a small supply of them when I left the hospital on Monday 16th February – four days after surgery. Despite my best efforts I could not get off Endone completely until the following Monday. That’s 10 days of taking a synthetic morphine drug every four hours – day and night. At various points I tried to stretch it out to 6 hours, often without success. The drugs made me very sick and I had to take other countermanding drugs just so my insides would work. Months later the memory of the pain is fading but I have to sit and read how two young idiots decide to walk down this path just for the fun of it. Dylan Walker and Aaron Gray belong to a class of the most privileged, pampered, human beings in our society. They don’t have to work, are excused from educating themselves and get paid a fortune to play a game. They exist in a culture where adherence to social norms such as bashing women, public drunkenness or taking drugs are optional. The privilege society bestows on these creeps by making them role models is repaid by taking hard-core opiate drugs for recreation. The taxpayer is then expected to pick up the bill as they are attended to by fleets of paramedics and then take up space in emergency wards. Society is owed an explanation. Are these guys stupid? Are they ill educated? Are they poorly managed? Do they have brain dead parents? Are all the above applicable to Dylan Walker and Aaron Gray? Possibly. I think they are a disgusting example to their peers and to young children who look up to NRL players in admiration. They should never be allowed to play the game again and should spend the rest of their useless lives washing dishes in a roadside diner in Broken Hill. Maybe then they will learn some humility. They deserve nothing better. What a very strange week it has been so far. This week I’ve had, for the first time in many years, a recurrence of a very old injury that once plagued me. I woke up on Monday morning with a dull ache on the left-hand side of my neck going down into my shoulder blade. This was once a common occurrence and I have a history of neck problems culminating in surgery and a spinal fusion at the C6/C7 vertebrae in 1998. I haven’t had any trouble with it for many years but there it was. It might have been from all the swimming or something I accidentally did in the gym or maybe I was just tired. Monday I managed to swim over to Shelly Beach and back as normal but Tuesday I had to confront the squad training in the evening. I was in so much pain I deliberated whether to do it or not. Finally went along but had to pull out after only about six laps. It was humiliating and frustrating as Narelle Simpson, the coach, doesn’t know me all that well and probably presumes either that I’m not fit or I’m just a bit lazy. It was really sore at the end. This morning, Wednesday I wanted to do the swim with the gang at Manly so I used a snorkel. This helps as I didn’t have to roll my neck. The downside is you are head down and can’t see where you are going. There are no black lines on the bottom of the ocean. I ended up swimming around in circles which everyone found very comical. I got through my gym session okay at lunchtime with the help of some painkillers, although my neck was aching. I also achieved something of a milestone, as I leg pressed 60 kg for the first time. I don’t know why this is a milestone but it’s getting up towards my body weight. This wasn’t a goal when I first started, but Belinda seems to have made it one. She is now right into the strengthening phase and still seems keen to find out where my boundaries are. I did the whole session, including leg extensions, leg curls, various squats, including one leg of squats and stretching without any pain. This neck thing is just another setback but I hope it passes soon.